Ever feel like your workplace is stuck in the dark ages? Well, until you get a bar in your office and you are allowed to pop out for a surf you might not realise exactly how far your office has fallen. With the drive to find and retain high-quality talent a ever growing priority, companies are becoming ever more inventive in their ways to make the 9-5 grind just a little bit more enjoyable – which is great news for employees. Where the local pub would normally be inundated on a Friday, many companies are choosing to create in-office bars with the beer free flowing. Alongside this hangover or duvet days have also become a feature of forward thinking companies and this obviously works nicely with the growing popularity of free beer. Companies are also encouraging workers to get a break from their computer and spend some time away with some even offering time off to go surfing, an ideal originally championed by Patagonia’s Yvon Chouinard. There’s also an increasing number of arcade games, consoles, table football and ping pong popping up in corporate offices. 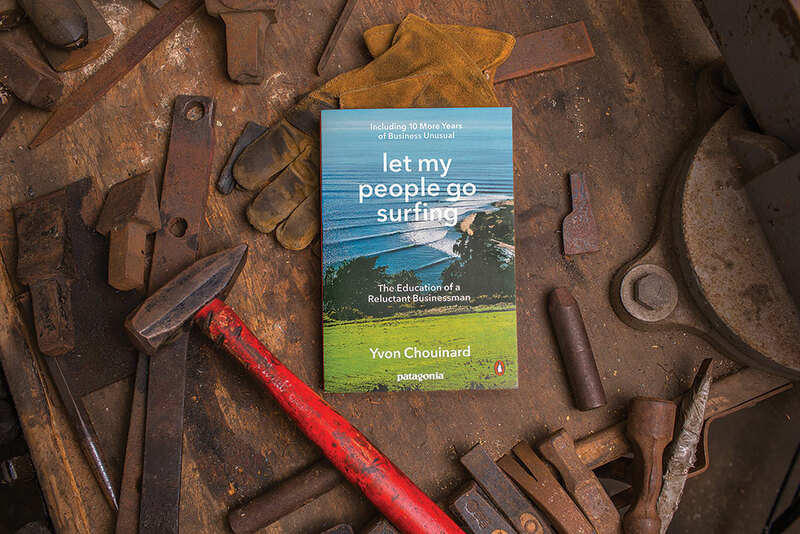 Patagonia’s leader Yvon Chouinard has updated and rewritten his ‘Reluctant Businessman’ memoire. According to Raife Watson CEO of the jobs website Adzuna, the changes are becoming more and more commonplace. “In more profitable times, large companies offer trips abroad and huge cash bonuses to reward top performing employees. “Smart employers are now finding innovative ways to reward hard-working, valued staff, by offering inexpensive perks that reflect company culture and employee values. “The benefits of these work perks are a happier, healthier working experience. And happier, healthier workers make for a stronger business,” Mr. Watson said. Public Health England is also backing a more active workforce. Duncan Selbie, chief executive is championing running clubs and standing desks as a way to improve employee wellbeing. In an interview with the Observer, Selbie made clear that Britain’s small and medium-sized enterprises (SMEs) could do much more to challenge the annual bill for sickness absence which at present stands at reported £29bn per year. “SMEs are the backbone of the nation’s workforce and can kickstart a revolution in helping their staff to improve their health. People spend 30, 40 or sometimes 50 hours a week at work. That’s a unique opportunity for employers to use that big chunk of someone’s week to care for their health,” said Selbie. So with SMEs making up 99% of all private sector businesses it is therefore quite probable that you are employed by one, with that in mind perhaps it is well time to poke this article under your boss’s nose as you dash back from your lunchtime shred.